I am a retired Active Duty Army Chaplain and a retired Diocesan Catholic Priest. I help out in local parishes and hospitals whenever I can, which is fairly often. I see this page as a discipline for me, to do some thinking, reflect on life as I have known it, prepare for the next stage of my life, and maybe express some developing thoughts. I am enjoying my position as “independent”. I seem to think out loud. I sense a connection between my prayer life and my rapidly developing ideas stream. 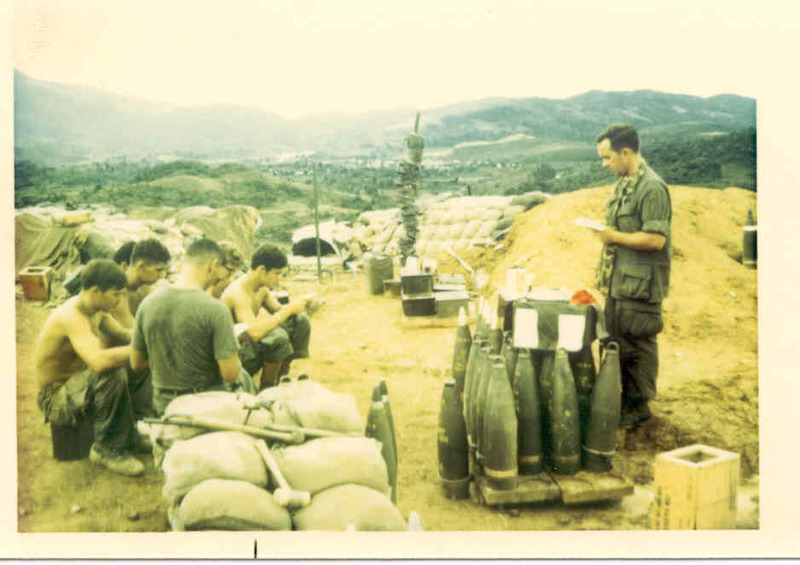 These days I am looking back over my 46+ years as a priest, most of which were spent in the US Army and foreign service. As often happens when someone retires from military service, thoughts and memories of combat experiences are surfacing, and not pleasantly. What did it all mean then and what does it mean now. Maybe I can figure it out. Maybe I can’t. “Theology of Fear”, Fr Emmet Coyne. How the church operates. “Meeting Jesus Again for the First Time”, Borg, Marcus. The historical pre-Easter Jesus and the post-Easter Jesus (whom other writers have referred to as the Christ of faith), or the Jesus revealed by scholarship and the Jesus of Christian tradition are brought together as Borg articulates his own struggle from doubt to faith. His struggle is grounded in contemporary scholarship, personal experience, and “an understanding of the Christian life as a relationship to the Spirit of God–a relationship that involves one in a journey of transformation. “Saving Jesus from the Church: How to Stop Worshiping Christ and Start Following Jesus”, by Robin R. Meyers. A recovery of true Christianity emphasizes compassion over condemnation, blessing over sin, and equity over individual prosperity. “Field of Compassion: How the New Cosmology Is Transforming Spiritual Life”, by Judy Cannato. “Repair My House: Becoming a ‘Kingdom’ Catholic”, by Michael Crosby. I, too, am more than saddened by recent events in the Church. It is hard for me as I converted from the Episcopal Church and am beginning to seriously question my decision. Too bad we can’t have dual citizenship in both churches. I hope Fr. Roy will continue his support of Women’s ordination. Unfortunately the Catholic Church in my area is in lock step with all that comes down from Rome. Thanx for your life of witness – even as it continues. I enjoy a lot of your posts, and I like the list of books you are reading – some of hich I am not familiar with, that I will put on reserve at the library. My friend and a longtime mentor Rev Emmanuel Charles McCarthy penned this gem and I wonder – at this point in you life – what you may think of it. We bring him back to Cleveland [from Boston area] on MLK Jr weekend to facilitate his Gospel nonviolence retreat. This time it will be at St Colman, Cleveland. Thank you for your ministry. I am a Candidate in the ARCWP. I hope to meet you one day. Hi, I think you may have worked with my dad Peter in the army. We’ve been trying to locate you to contact you. He really needs to get in touch with you, if this is the right Jim, and if its not I apologize. I tried writing on twitter but i don’t know how it works ten I found this site. I hope you’re the right Jim! If so please email me if you can. Thank you ! Blast from the past… I met with an old employee/friend/now client and your name came up. She gave me a quick update on what you are doing, hence me finding this site. I gave her a little background on our days at St Thomas More. It good to know you are still around and haven’t changed. I hope you are doing well. I would like to publish some of your stuff. Please send me an email note? rbkaiser@justgoodcompany.com. Thanks, Father Phrogge, for posting your blog link in the comments on a National Catholic paper. I have always appreciated your comments there, and am glad to read more here. Does the heart much good–many, many thanks!